I’m fascinated by the symbols that appear in my life – when I eventually spot them, and try to figure out what they might mean. A symbol may need to make several appearances before I get the message, however. In journalism, they say that if you hear the same rumour three times then you’re on to something. And so it is with symbols: I believe they bring me a message that my unconscious is ready to hear – and will keep repeating it until I tune in. That may take some time, though. 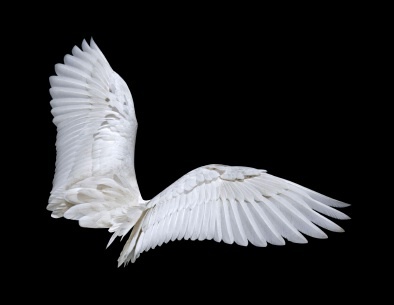 I find that I’m especially drawn to the symbolism of birds, perhaps because they have a freedom to fly away that I envy – or, if I interpret that positively, perhaps they represent my desire to spread my wings. They’re also understood to represent the soul (which I’m journeying to embrace). 1) I heard a peacock as soon as I woke up on a significant birthday – and later that day saw several peacocks raising their feathers in the way that we all stand there with our cameras waiting for. My friend said: ‘What a show off.” But I felt the peacock was purely living up to his true potential. In a way that I, at the time, wasn’t, couldn’t or wouldn’t. And felt that I should. The symbolic meaning of peacock, as far as I can gather, is one of renewal. Significant, as I was about to embark on an exciting new stage of my life. 2) A pigeon plunged down my newly swept chimney on Christmas Eve. Thankfully I noticed it before Santa squeezed himself down it with presents for my daughter and niece. That would have been an unpleasant surprise on Christmas morning for all concerned. The dead pigeon’s eyes were bright and open, its body full and intact, and its wings splayed and optimistic. I screamed and ran for my Dictionary of Symbols, leaving my estranged husband to pick up the still-warm body and deposit it somewhere I wouldn’t freak out about it. The symbols book said that pigeons could be a symbol of love and marital bliss, or a bird of ill omen, or the sound of a soul in torment. As Christmas Day was the end of my marriage, I figure that the dead pigeon symbolized the end of my soul’s torment – and the death or marital bliss. Again, a positive symbol that has made me think about its true significance, and has also helped me move on – albeit sadly. (And I haven’t even begun to interpret what my husband’s fear of pigeons signified). 3) A little bluebird appears every day outside my study window, flits and bounces around, tweets little messages to me, and flies away again in a heartbeat. He chooses to sit on the branches outside at the same moment that I make myself comfortable in my desk chair. A bluebird symbolizes happiness and prosperity – and I certainly feel cheerful when I see my bluebird. In a recent visualization as part of a course I was doing, our tutor asked us to express what images came to mind when we thought about beginning our five-year diploma course in psychotherapy. The little bluebird popped into my head – yet the image I shared with the group was a rainbow. I only realized the connection later on that evening: if the happy little bluebird can fly over the rainbow, then why oh why can’t I? This entry was posted in authentic self, soul recovery, symbols and tagged bird symbolism by inktuition. Bookmark the permalink.